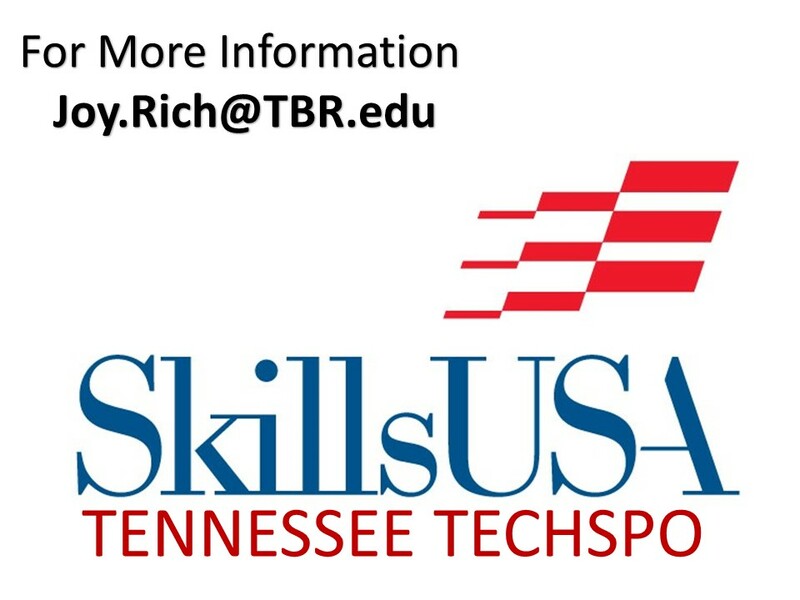 Do you want to recruit Tennessee's best SkillsUSA students who are Job Ready – Day One? Do you have current job openings, internships or apprenticeships that you want to showcase? More exposure than ever before!! Put your products in the hands of teachers and students who will share them with their peers in our 40 colleges across the state of Tennessee. 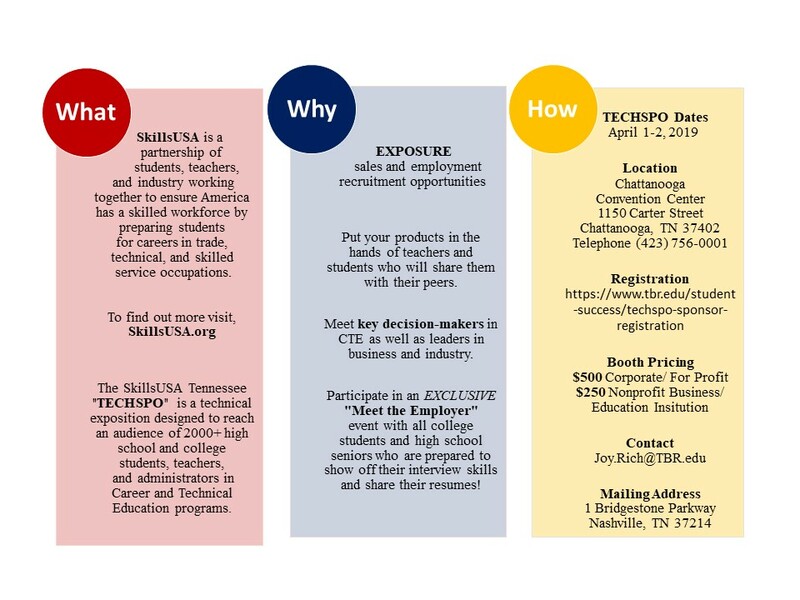 At SkillsUSA Tennessee TECHSPO, you will meet key decision-makers in career-and-technical and school-to-work education as well as other leaders from business and industry. For more information on how to get involved with SkillsUSA to recruit future employees, and Grow Your Own Workforce through apprenticeships and other Work-Based Learning activities, contact Joy Rich, Director Experiential Learning /State SkillsUSA State Director at Joy.Rich@tbr.edu or (615) 366-2211. Check out our State Officer TECHSPO Videos below!